There is an old rule in marketing: no two customers are alike - at least that is what you want to communicate. In adherence to this rule you manage your mailing lists carefully and design the right newsletter or e-blast for each target audience. But one question remains: Who is the sender? Which e-mail address do you show your customers? To make sure neither you nor your customer ever lose track who is offering them the newest deals, try using multiple return addresses for your company's communications! SmartSerialMail allows you to set up multiple user profiles and send emails from different addresses in an easy and intuitive process. Your sales manager informs new customers about a special offer, your CEO invites valued business partners to the company anniversary. Profiles can easily be duplicated. Many providers impose limits on how many emails may be sent in a certain period of time. SmartSerialMail will enter most major providers' sending limits automatically on profice creation! Punycode enables you to use special characters in email addresses: "bjørn@ångström.net" can now send and receive emails. Your club or little league profits from alternative senders as well, when you separate the invitation to the big summer tournament from the official announcement of the plenary assembly. 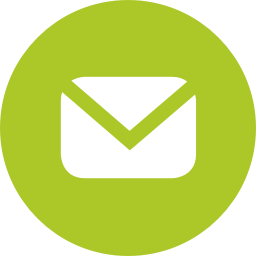 Define alternative sending and return addresses and manage sender information and profile preferences with SmartSerialMail, your flexible email marketing software. Make sure that your serial email's contents are a perfect match to the official sender. In the Enterprise Edition you can enter as many Cc and Bcc adresses as you need. You want to re-use certain content? SmartSerialMail offers a simple solution: use profile-specific Quick Parts to quickly paste texts and graphics into your next newsletter.